COLUMBUS, Miss. – Mrs. Stoddard (above) is terribly worried – all day, every day, and especially at night. Was Uncle Roger driving the car that hit the man on the road, and did he and local artist Sam Evans collude to send Burke Devlin to prison for manslaughter? Will Cousin Barnabas be cured by Dr. Hoffman’s secret injections, or will he continue to be cursed by the witch Angelique throughout eternity? Stop by my house around 7 p.m. most weekday evenings and you can learn the answers to these burning questions and more because we have become absolutely hooked on watching reruns of the campy 1960s soap opera Dark Shadows. Set on the sprawling Collins family estate in a sleepy Maine fishing village bearing the family name, screen legend Joan Bennett, still a great beauty well past the height of her career, headed an otherwise largely unknown cast in the role of matriarch Elizabeth Collins Stoddard in the series which ran daily on ABC from 1966 to 1971. It had more than a few children scrambling off the school bus to get seated in front of the console TV. Rumor has it that Bennett was second or third in line to play Scarlet O’Hara in Gone with the Wind, but she had a number of leading roles all her own before she became the mistress of Collinwood. Dark Shadows was a fairly low-budget, skeleton crew operation in many ways, and interviews with the actors reveal many of them knew they were not doing their best work on the show. They forgot and botched as many lines as they delivered; occasionally a member of the crew wandered into the shot, but the film usually kept rolling. The plot revolves around an unlikely combination of almost every horror story ever told, with vampires competing against werewolves and well-intentioned ancestral ghosts trying to help their progeny thwart poltergeists and warlocks. And yet, as unlikely as it seems, Dark Shadows became a cult classic. Somehow I missed it the first time, but we are totally addicted to it now, having gone through all 1,200-plus episodes once a few years ago and now finding ourselves at episode 300 our second time through. Will Maggie Evans give in to the sinister longings of Barnabas Collins? Is Quinten Collins really the werewolf? And will poor Mrs. Stoddard ever get a good night’s sleep, even after she learns she didn’t really kill her husband and he hasn’t been buried in the basement for 18 years? Somehow, their problems put mine right into perspective. 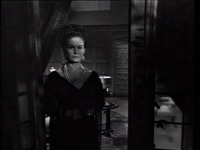 The series started in black-and-white, but changed to color fairly early in its run. I can’t figure out how to get the DVD player out of black-and-white mode, however, so it looks like this time we will see the whole series in shadows. Honestly, I think I like it better this way. Sometimes being technologically challenged can actually work in our favor! Source: David Creel, The Dispatch: Being Beautiful, April 30, 2016. Dark Shadows is addictive. Back in the 1990's when it was coming out on videotape, I received four tapes at the time as they were released. My son and his friends started watching it and before long, they were hooked. I wouldn't let them watch but one of the four tapes each weekend, but they would watch them all the way through.